4 MARATHON IN 4 DAYS, It is possible run also a single Race. Time limit 8 hours each marathon. 8:00 am start and finish always in Lido di Gozzano, Via alla colonia 6, 28024 Gozzano. 4 APPROVED 42,195 km ronutes, VERY PANORAMIC departure and arrival Lido di Gozzano diretly on the beach. June 1st, 2018 Marathon of Vergante Land. KM 42,195 + m. 561. Departure from Gozzano, then you run in the valley of the Agogna until Invorio. 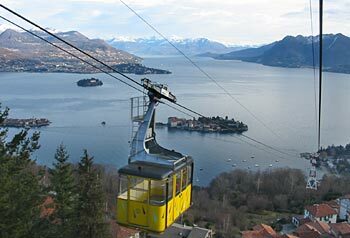 From here you fly on High Vergante a splendid balcony on Lake Maggiore until Gignese, the land of Umbrellas, the highest point: 700 meters. A long descent into a Lonely Valley rich of rivers will arrive to Sovazza and Armeno, before falling back in Gozzano. Dinner in Chalet on top of Mottarone with € 20 + € 10 Bus and cable way. Departure at 17 from Hotel Valsesiana, Italia and Sports Halle. June 2nd, 2018 Marathon of Mt. Mottarone. Km 42,195 + m. 1.090. Departure from Gozzano. Ascent to Vacciago, passage on Our Lady of Bocciola balcony on the Lake of Orta. You cross the characteristic villages of Miasino and Armenian. 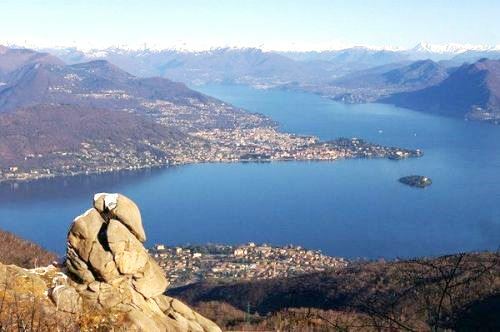 Then attaches the rise to Mottarone Mountain from whose top you can enjoy the view of seven lakes Orta, Maggiore, Mergozzo, Varese, Besozzo, Comabbio, Monate and Biandronno. Run around the summit and back on the same path. In the evening in a relaxing boat ride on Lake Orta, and visit Orta Village. Dinner in exclusive restaurant on the Island of San Giulio. 18:00 pm Departure at the Pier Lido. € 20 Dinner € 10 boat. 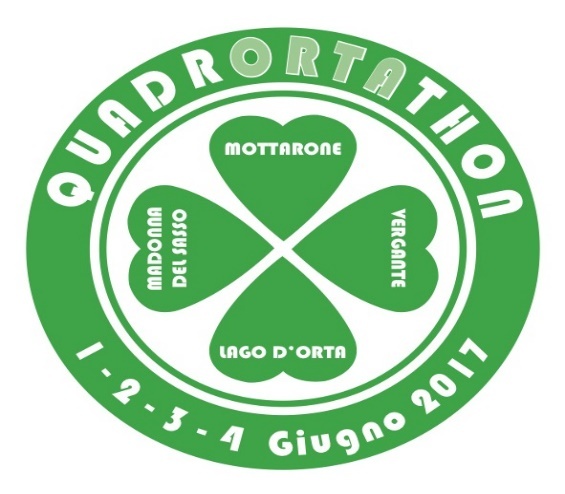 June 3rd, 2018 Marathon of the Madonna del Sasso. km 42,195 + m. 690, Start from Gozzano and will rise in Val Sesia through the pass of Cremosina up to Valpiana. 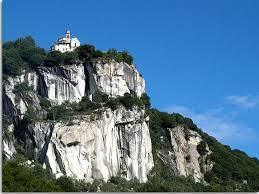 Then through a silent forest of larches you get up to the Madonna del Sasso cliff which overlooks the Lake. It will come down through Boleto Land of Mushrooms (Boletus edulis) in Pella, then tour of Ronco in tribute to 10in10 loop, and return to Gozzano. 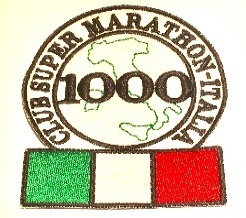 19.30 Party of 1000 Marathons at the Lido di Gozzano Restaurant. Cost € 20. 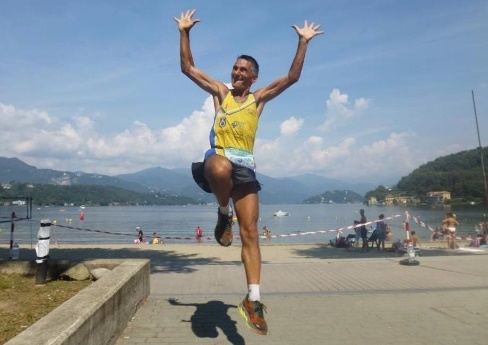 REGULATIONS by PF Gino Mr Paolo Gino, member and President of the Super Marathon Club Italia, organizes a series of 4 consecutive marathons to be run in 4 days on the Orta Lake at Lido di Gozzano, Novara province, from 1st to 4th June 2018, It is possible run also a single Race. This is a private event, open to everybody, male and female, who must be 18 on race day. There will be separate rankings for men and for women, issued daily for each race. START AND FINISH FROM LIDO DI GOZZANO, NOVARA PROVINCE, ITALY Start at 8:00. and will be preceded by a short briefing. No anticipated start will be permitted. No athlete will be allowed to start without a bib number. Marathon Time limit: 8:00 hours. Route: on 95% asphalt and 5% dirt roads. Accommodation: There will be facilities to give a free place to sleep for those who run the whole series of four marathons. There are just 20 sites. Need Book Before. No Beds inside: ALBERGO VALSESIANA: Corso XXV Aprile 37, 28024 Gozzano (NO). Tel. +39-0322-94394, Fax +39032294228. Speak with the owner, Mr Franco, cell. 338-3546521. Prices (including breakfast): Single €35. Double €50. Triple €75. You can pay 5€ less each person a day, if you stay 4 days. The hotel is located 500 mt. from the railway station in Gozzano city centre, about 3 km from the start. www.albergovalsesiana.it HOTEL NUOVA ITALIA: Via Beltrami 19, 28024 Gozzano (NO). Tel. +39-0322-93774, Fax +39-0322-953154. Prices (including breakfast): Single €45. Double €65. The hotel is located 1 km from the railway station in Gozzano city centre, about 2,5 km from the www.hotelnuovaitalia.it RISTORANTE PIZZERIA SEMPIONE: Via Dante 16, 28024 Gozzano (NO). Tel. e Fax: +39-0322-94375. First and second course €10 and pizza menu €10. In Gozzano city centre, 500 mt from the station and 3 km from the start. www.pizzeriasempione.it RISTORANTE LIDO GOZZANO: Via alla Colonia, 28024 Lido di Gozzano (NO) Tel. 0322 913350 Starters, first course, second course and dessert €25 http://www.naturalbaay.com/ristorante/ Located in Lido di Gozzano, next to the start. CAMPING: Parking area with 15 places for campers at km 6 of the Marathon, on the Orta Lake, at the outskirts of the town. With hygienic services, payment required. There is also a slide for boats and a small sandy beach. At km 8 you can find Campeggio Castellania Del Lago D’Orta Via M. Buonarroti, 10, 28010 Pella. Telefono:0322 969298 It is possible to park the camper near the Start Line in Via della Colonia, 28024 Gozzano (NO). USEFUL INFORMATION ADDRESS OF THE START LINE: Via della Colonia, 28024 Gozzano (NO). HOW TO GET THERE. By car: from Milan follow Motorway A8, then take the A26 to Alessandria, then continue in the direction of Gravellona Toce. Take the exit for Arona. Turn in the direction of Borgomanero, at the third roundabout follow the indications for Gozzano, Lago d’Orta. By train: from Novara take the Novara-Domodossola line and get off at Gozzano ralway station, which is 3,5 km far from the start (no taxi service). By plane: The nearest airport is Milan Malpensa, about 40 km south of the Orta Lake. Here you can rent a car to reach Gozzano. There is NO DIRECT BUS SERVICE. No shuttle. Possible Taxi connection by 60 € tel.+39 349 4187291, info@ncccarservice.it Full details as well as the new regulations are available on www.orta10in10.it . For further info or any query you may have, send an email to presidente@clubsupermarathon.it (Object: Quadortathon).